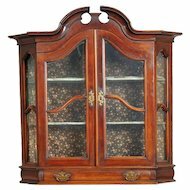 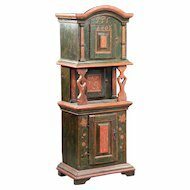 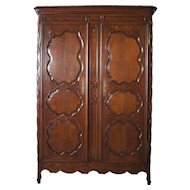 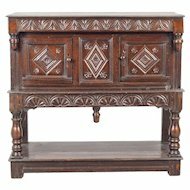 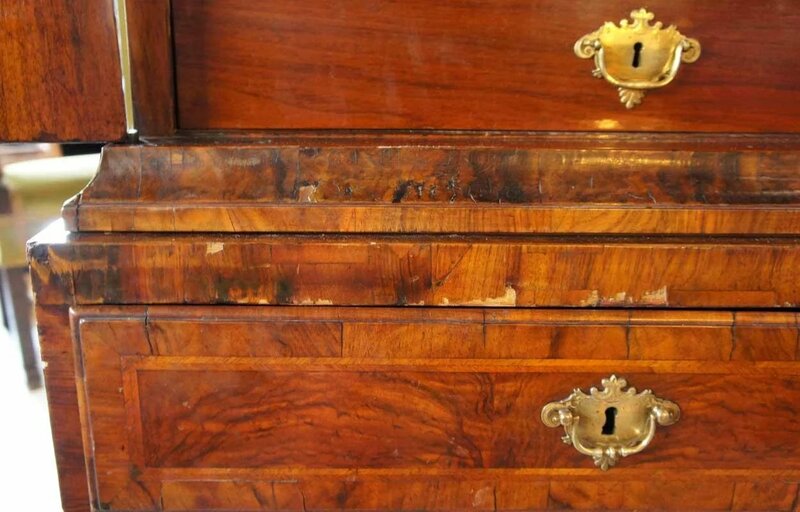 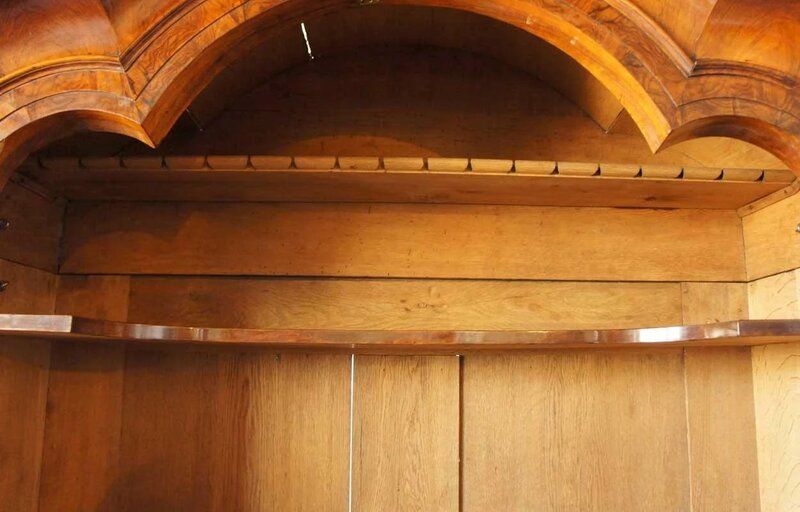 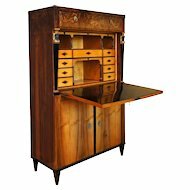 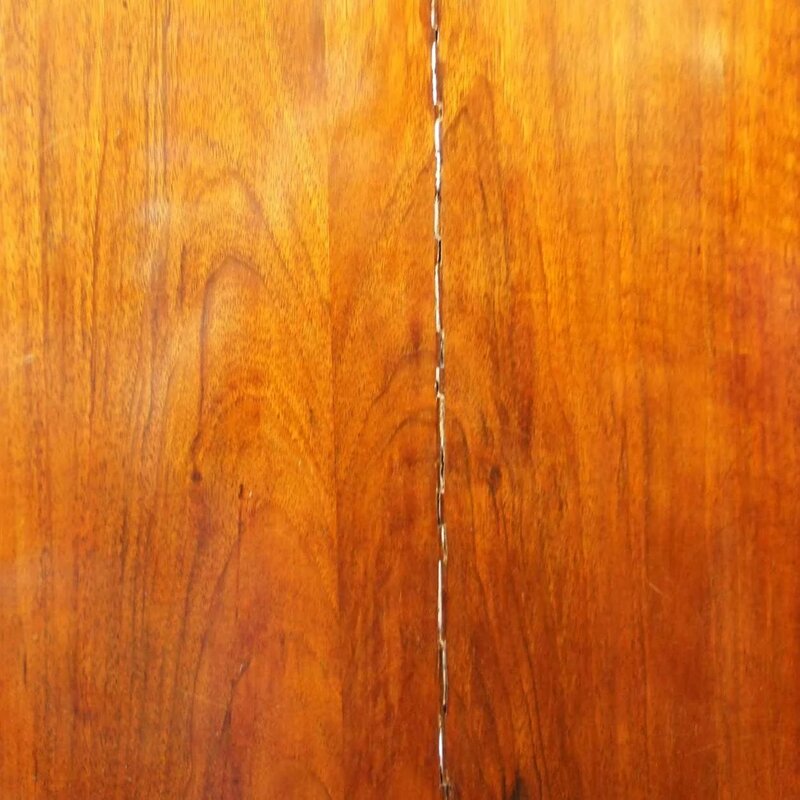 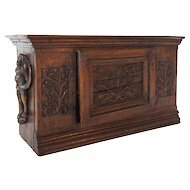 This magnificent, antique cabinet was hand crafted with exquisite burled walnut veneer. 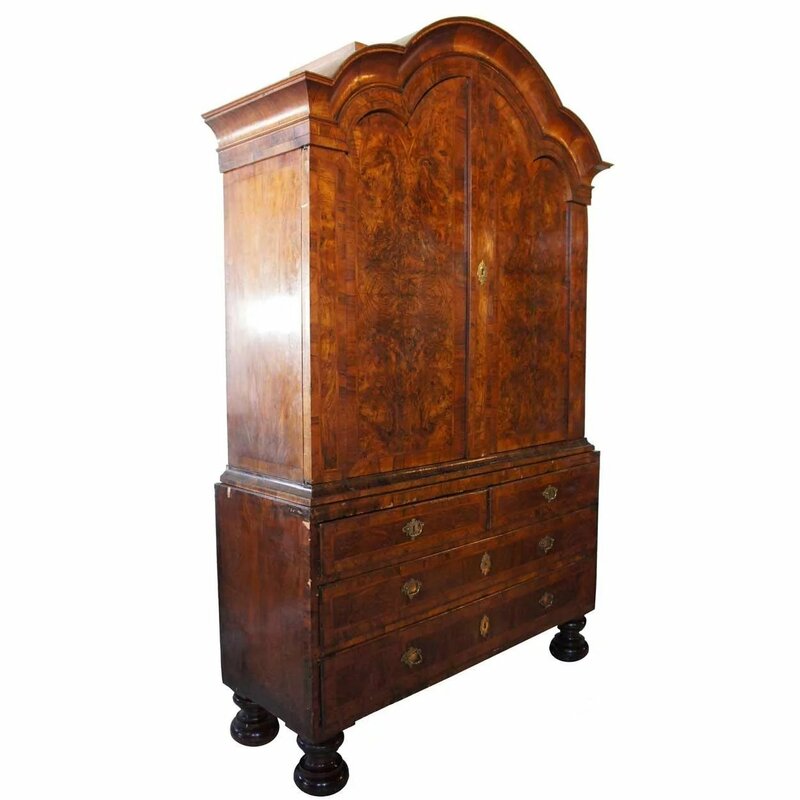 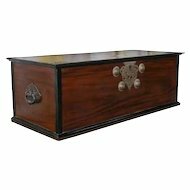 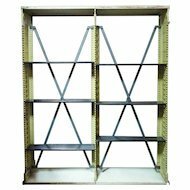 It features a scalloped, arched top with a deeply moulded cornice. 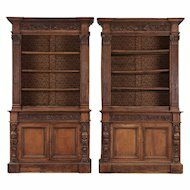 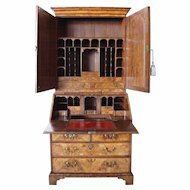 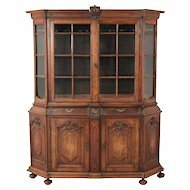 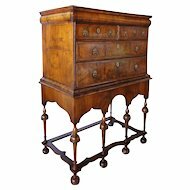 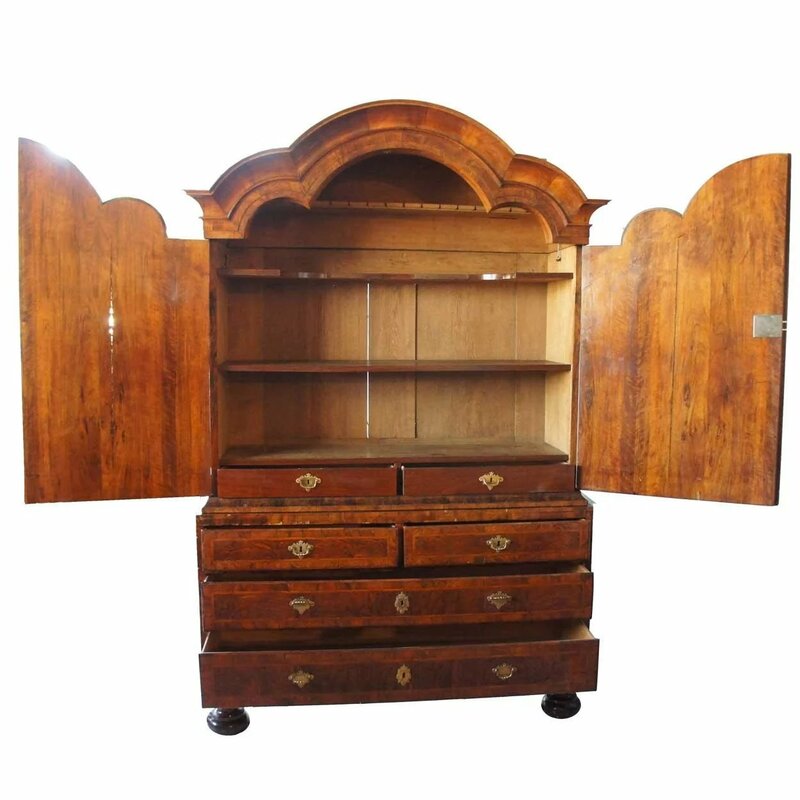 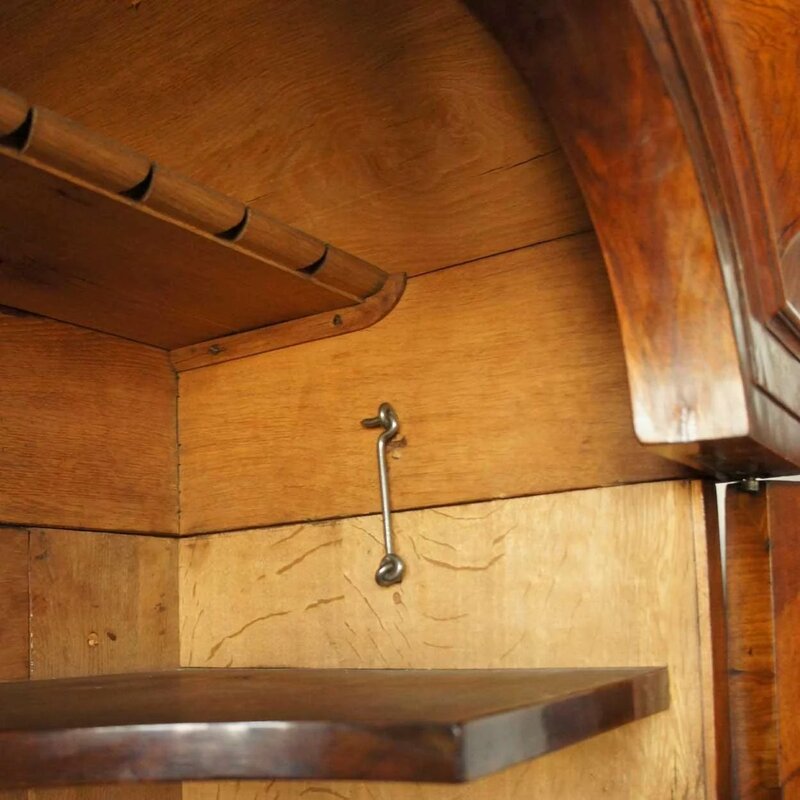 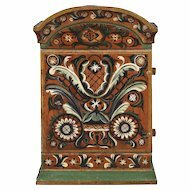 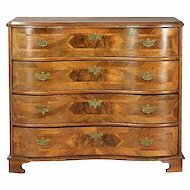 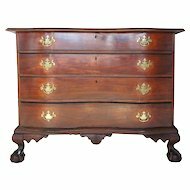 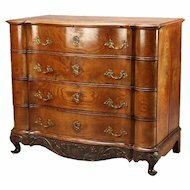 The upper cabinet, with double doors, sits over two small and two large drawers, and terminating on wonderfully turned, bulbous feet. 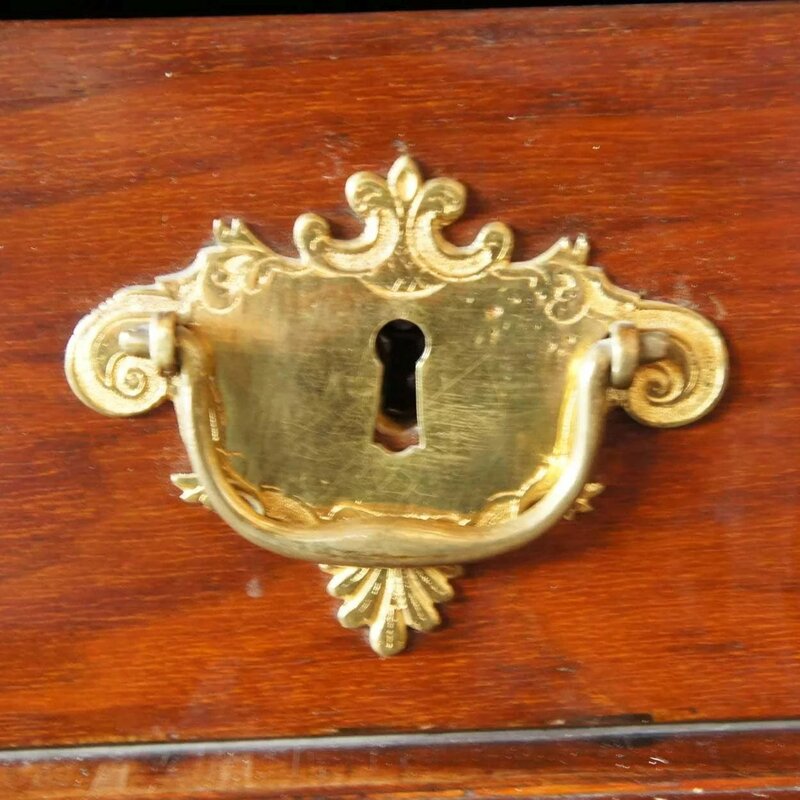 Notice the original, beautifully cut and stamped brass hardware. 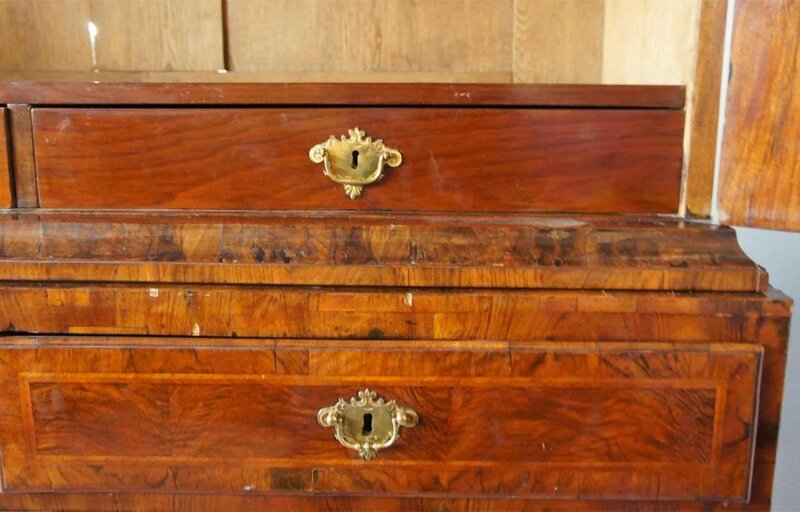 So important a piece will certainly make a major impression. 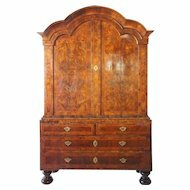 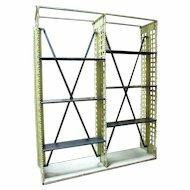 Width 61.5 Depth 20 Height 81 in.